The first thing that came to my mind when I heard about workforce analysis was – it’s kind of an analysis which is done on employees. But, when I started working on workforce analysis, my thoughts changed day by day. 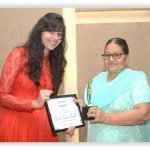 It’s something which involves identifying the current and futuristic supply of labour or workforce and helps in identifying the future aspects to make better business decisions for an organization. In layman terms, it’s something which provides information regarding the current workforce across the organization, including demographic and background characteristics of the current workforce, turnover, recruitment and retention. • Acquiring the right talent. • Ensuring the right compensation. The biggest role of the HR team in any tech company is to find the right technical and cultural fitment. So, workforce analysis helped me out a lot in searching out the perfect mix for our open positions. I started my analysis first by gathering the data about the people who are working on the required technologies. This analysis helped me to get an idea that what will be the probability of getting a right fit for the role in our location. As we are living in the era of digitalization, we have also digitalized our recruitment process on cloud DXA and we have named it a “Recruitment Management System”. Basically, it is a workflow with a database where the data of the candidates who we reach or the ones who apply for the positions are secured. So, it helps us in doing the analysis according to the requirement and I am able to get the right talent for the requirements. At Streebo, we initially started with reactive analysis but looking at the market trends and changing strategies in the HR systems, we started to move further to the proactive approach. Now, this proactive analysis has started helping us with a lot of problem management processes (i.e. recruitment and retention). For doing proactive analysis we have started to do the descriptive analysis of the requirements so that a base can be created. After this, we add the external data collected like the market trends, demographic shifts and others so that we can see a broader picture of the future. Finally, doing the predictive analysis based on the collected information which helps us to predict the right hires and adapting the changes according to the market trends. 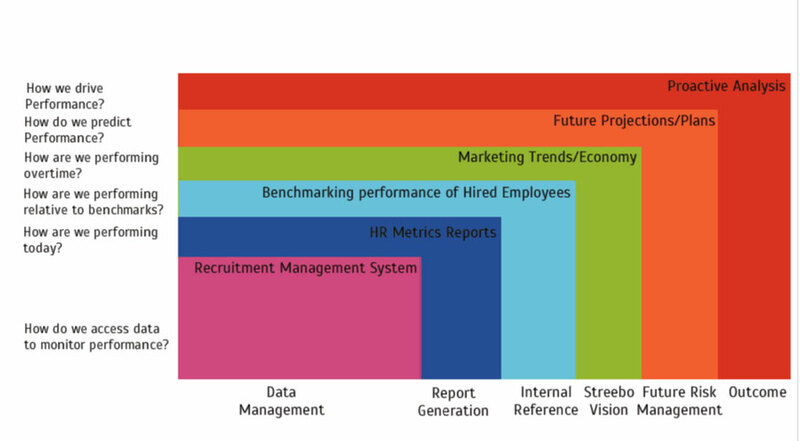 The below diagram shows the factors on which we focus on acquiring the right talent. 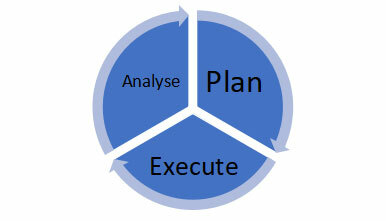 In this, the major components are reactive analysis and proactive analysis. So, when we combine both the analysis, the result we get is in the form of Predictive analysis. When I talk about compensation it is one of the important things while I look for an individual for a desired role. For deciding the compensation for a role or an individual I do analysis according to the market trends. a) Analyse – First I analyse the compensation surveys and market rates to create data. All this data is from the relevant industry, similar jobs and appropriate labour market. b) Plan – Collected data helps me to create a compensation plan for the position we are hiring which is according to the years of experience and their last pay. c) Execute – As I am done with the analysis and planning of the compensation according to the budget and keeping other factors in mind, I move further to execute the plan. As ensuring the right compensation for the employee is becoming strategic, compliance-oriented and data-informed and it is based on the data-driven decision making. At, Streebo we are growing and shifting our self towards a new way of ensuring right compensation which is compensation analysis. It’s a new discipline built on the foundation of People (HR) analysis. • Benchmarking Salaries – Nowadays, it is very difficult to get people with the required skill set for a requirement and if we find someone with all the required skills, another challenge is to get them in the salary range. So, here comes compensation analysis which helps us in benchmarking the salaries at Streebo for the right fit. We do compensation analysis based on market trends, market rates and expectations for similar roles, which helps us to provide the best salary available in the market and hire the best candidates. • Tracking Business Goals – At Streebo, we use compensation analysis so that we can know whether we are following our stated goals or not and are those goals aligned with our business goals or not. Compensation analysis is done by us according to the market analysis to analyse the factors that help us in determining the right pay for the employee. 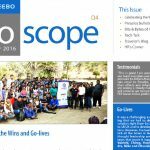 The factors which we look around at Streebo are Engagement level, performance, determination and the workload. With such data points regarding a candidate, we get a clear vision for the employee. Compensation analysis provides us with major key factors that help in retaining and rewarding the right talent. Employee turnover is something which is very common in every business with workforce or workers. So, I also experience the same at Streebo as people come and go. Whenever a person leaves from the organization it is expensive and time consuming for me to find a replacement. 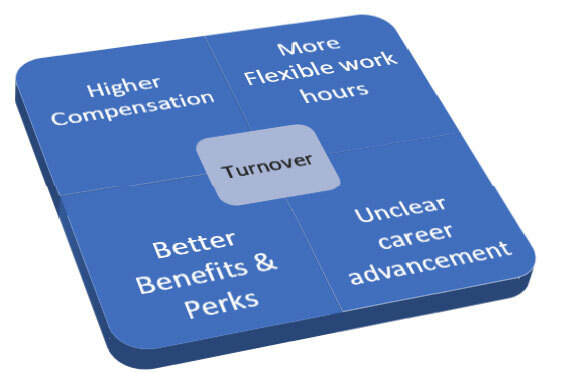 The above factors play a vital role in the employee turnover in the organization. • Hiring the right candidate. • Offering a competitive salary. The above graph shows the Hire to turnover ratio (approx.) at Streebo for the year of 2017 & 2018. As we can see, after we started using people analytics the number of hired people increased and the turnover has decreased. The Hiring ratio in 2018 as compared to 2017 increased by 204% and the turnover ratio of 2018 as compared to 2017 decreased by 12.5%. 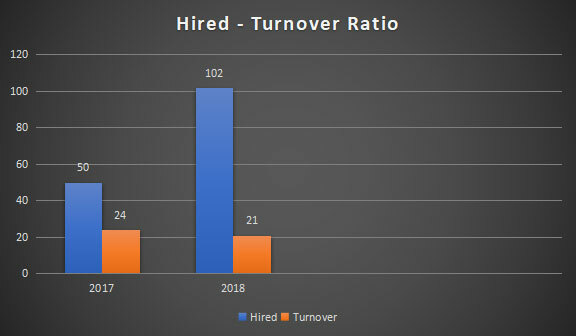 This data shows how the people analytics helped us in preventing the turnover and also increased the number of right candidates hired. Automation of processes and HR audit aided us in analysing the efficiency index of an employee. We used Quadrant System™ at Streebo to derive work efficiency of all our employees and that paved way for predictive analysis. • Quality of work delivered. • Time taken to complete the assigned work. • The complexity of work. Based on the behavioural and psychological trends that the employee displayed during any turn of the event were recorded and analysed in order to predict what course of action they will take in future. Why Employer Branding is important for a growing company!